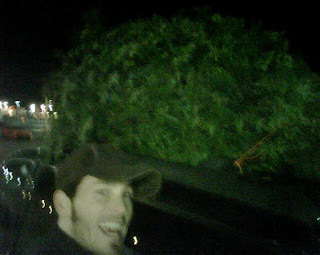 Michael "PUNKY" Koch: The SEARCH for the PERFECT Christmas Tree!!! 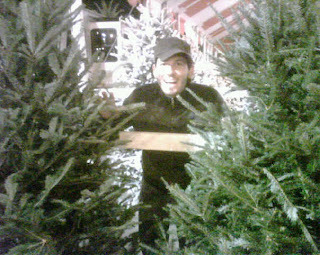 The SEARCH for the PERFECT Christmas Tree!!! 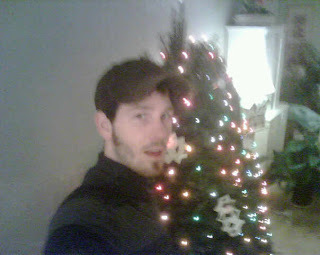 Well lately Christmas around my parents house hasnt really looked like Christmas to be honest. There arent too many decorations up or even a tree for that matter. 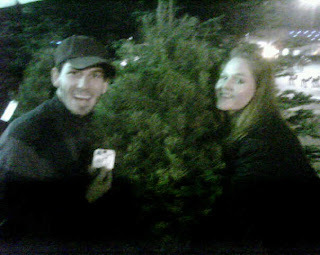 So my Dad and I decided to go buy a real Christmas tree this year since my Mom is out of town. 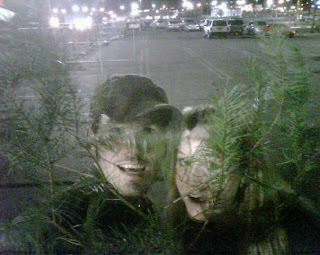 We had a little help from Julie which made it even more fun......AS YOU CAN SEE OUR EXCITEMENT!!! 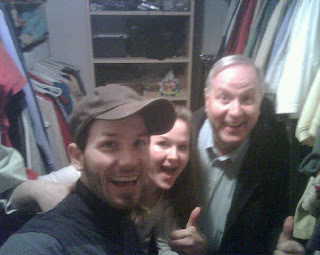 hahah(Yes randomly that is Mom and Dad's closet where the picture was taken.) 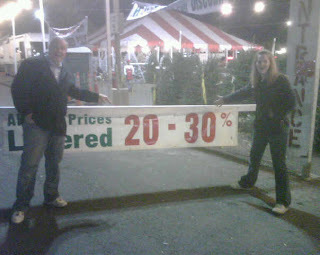 Dads favorite part was that we found a SALE!!! and attempted to fit it into the living room which is full of more cottage decor type decorations then I have ever seen in my life. We managed though. The finished product......decorations made possible by Julie and Michael cutting out paper snowflakes, and the lights were the net lights that you just throw on top of the tree...hahaha but the best part!!!!........ THE ANGEL!!!!! 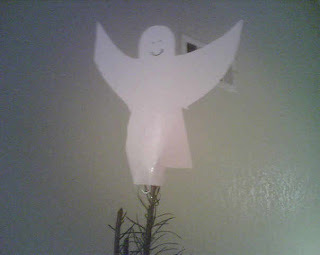 We pre-ordered this from Yugoslavia and it came just in time for the tree to be put up.......or truthfully I just cut it out of some paper from Dad's office....doesn't the angel look so happy!!! 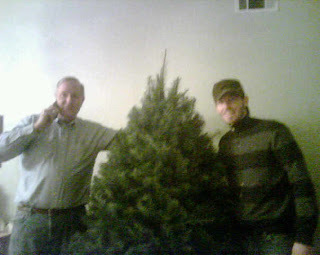 I cannot wait to hear about Mom's reaction to the "perfect Christmas tree". She'll probably just be happy something's up though. You guys did a great job with the decorations. Dad's favorite year yet of decorating I'm sure! Michael, you are the best story-teller. Great pictures, fun times. Perfect decorations. What a memory this will be. Can't wait to see the tree in person. You guys reminded me of the 3 Muskateers...what a team!